The number of Irish fund registered for sale in Taiwan was 139 in 2017. Taiwan has the 7th highest Gross National Saving’s rate in the world, at 36.3% of GDP in 2015. Taiwanese private investors keep a large percentage of their savings in cash and deposit accounts, but they are also enthusiastic equity investors. In recent years, the trend has been away from cash deposits and direct bond holdings, towards increased exposure to direct equity holdings, pensions and mutual funds. View the full country distribution guide for Taiwan (Irish Funds member login required). The Financial Supervisory Commission (FSC) is the regulatory authority in Taiwan, under the administration of Executive Yuan. The FSC was established in 2004 as the competent authority responsible for the development, supervision, regulation, and examination of financial markets and financial service enterprises in Taiwan. The FSC seeks to ensure safe and sound financial institutions, maintain financial stability, and promote the development of Taiwanese financial markets. The four bureaus under FSC are in charge of four sectors: Banking, Securities and Futures, Insurance and Financial Examination. Securities Investment Trust and Consulting Association (SITCA) is the self-regulating body for fund managers. SITCA issues guidelines and regulations on securities investment funds, acts in its function as a self-regulatory organization and supports the administrative operations entrusted by the government agencies in charge. Central Bank of the Republic of China (Taiwan) (CBC) was established in 1979. CBC’s main functions include deciding and implementing monetary policies, operating payment system and maintaining financial stability. 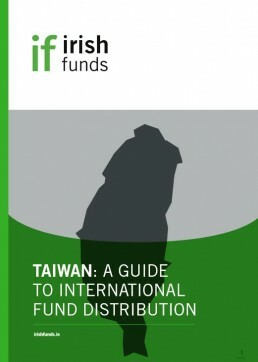 The distribution country guide for Taiwan is available for members of Irish Funds. This guide gives a detailed view of the Taiwanese market and the ins and outs of distributing funds there. Shane O’Donovan (Hong Kong Legal Counsel, Old Mutual Global Investors) gives an overview of the funds industry in Taiwan. © Irish Funds Industry Association clg 2019. All Rights Reserved. If you have already registered for the Irish Funds Member Portal, you can continue below. To avoid seeing this notification again, tick the box below.